Many people have a vision of counseling being a person laying on a couch with the therapist sitting close by listening and validating what is being said. While listening is very important in the counseling process, there are also other techniques used to empower individuals and couples. Individual Counseling is a process in which a healthy non-judgmental relationship is formed. 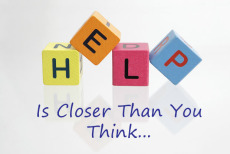 Professional Counselors work together with their clients to identify goals and develop solutions. As a Counselor, I seek to assist my clients by improving communication skills, finding balance in day to day life, working on emotional regulation, and concentrating on how one’s thoughts impact thoughts and behaviors.! Counseling is a commitment! Therapy is a process which takes time and hard work to learn and put into practice new behaviors and skills. However, with patience and dedication, my clients have experienced personal growth, higher quality of life, and overcome issues such as: depression, anxiety, substance abuse, anger issues, relationship issues and grief. 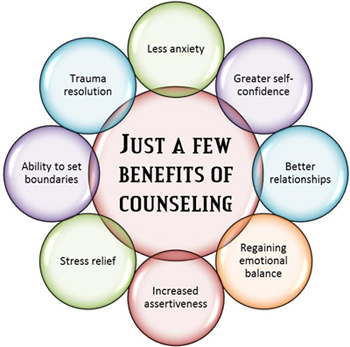 If you are struggling in some aspect of your life, individual counseling may be right for you. If you are ready to make changes and are willing to be open to new ideas counseling can a very rewarding experience. Call me today and let’s see how I can assist you in working towards your goals of self improvement. Are you ready to start living life to the fullest?